Buy Online Now! 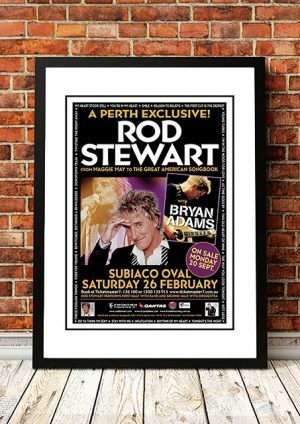 - Rod Stewart Rock Concert Posters and Memorabilia. 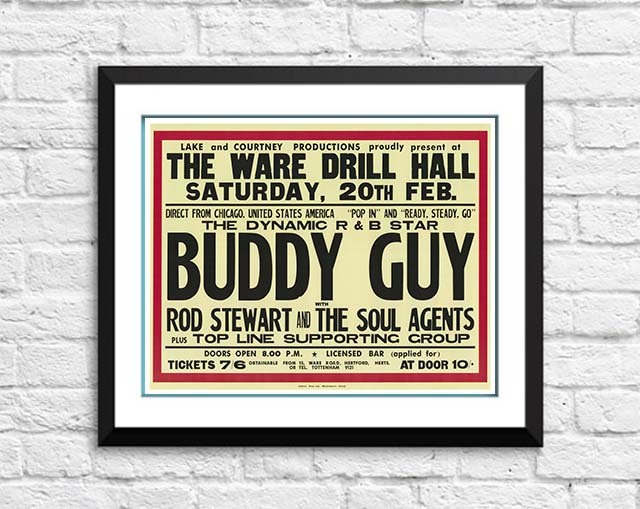 Sir Rod Stewart, is one of the best-selling music artists of all time, having sold over 100 million records worldwide. He has had six consecutive number one albums in the UK and his tally of 62 UK hit singles includes 31 that reached the top ten, six of which gained the #1 position. Stewart has had 16 top ten singles in the US, with four reaching #1 on the Billboard Hot 100. He was knighted in the 2016 Birthday Honours for services to music and charity. 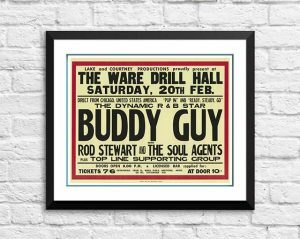 With his distinctive raspy singing voice, 2008 saw Billboard magazine ranked him the 17th most successful artist on the “Billboard Hot 100 All-Time Top Artists”. 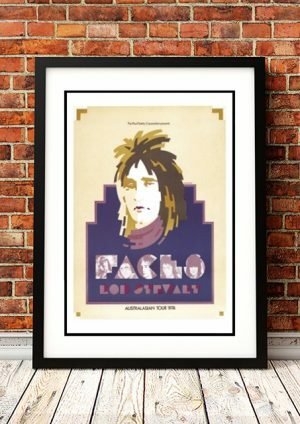 A Grammy and Brit Award recipient, he was voted at #33 in Q Magazine’s list of the Top 100 Greatest Singers of all time, and #59 on Rolling Stone 100 Greatest Singers of all time. 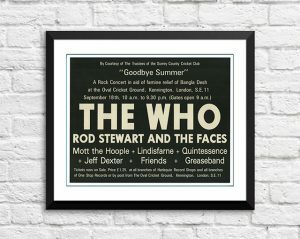 As a solo artist, Stewart was inducted into the US Rock and Roll Hall of Fame in 1994, the UK Music Hall of Fame in 2006, and was inducted a second time into the US Rock and Roll Hall of Fame in 2012 as a member of Faces. 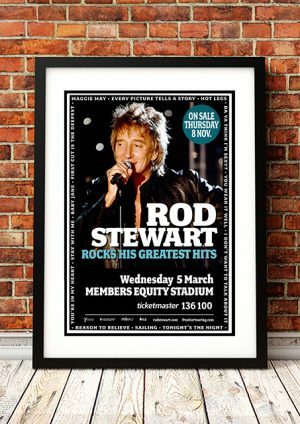 We stock a great range of Rod Stewart Concert Posters.